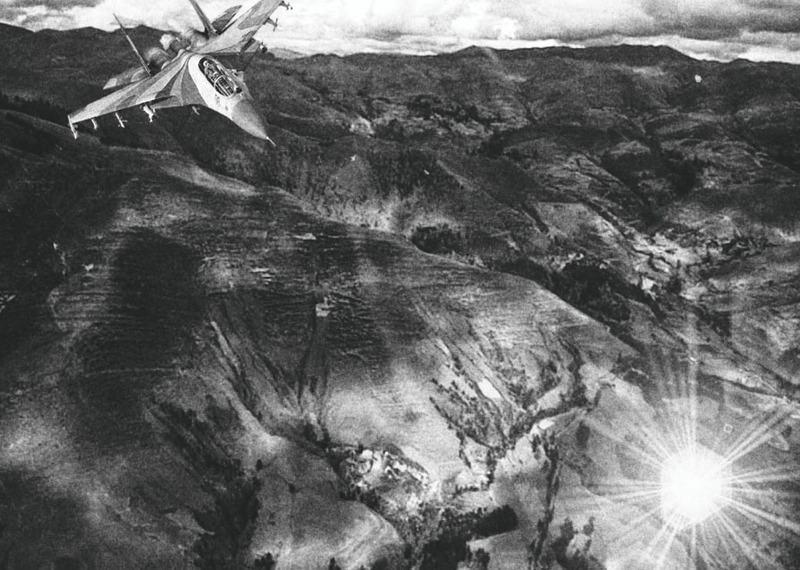 New information has been released by Oscar Santa Maria Huertas, a commander of the Peruvian Air Force, regarding the incident that took place at 07:15 hours on 11 April, 1980, when he was orderd to fly his aircraft - a Sukhoi SU-22, the most technologically advanced fighter at the time - to knock a UFO out of the sky. It was "a completely spherical object, it's upper section resembled a cream-colored porcelain, with a round, broad, metallic-grey base, like that of an ashtray." The anomalous flying object flew at "great speed and was 10 meters in diameter, making it a very easy target to bring down." This was recorded due to the fact that the flying object was passing over the La Joya military base in Arequipa, in the southern reaches of the Andean country, and the shooting it down was essential to keep it from gathering intelligence. Within the geopolitical context, Peru had acquired the most advanced military technology from the Soviet Union, and keeping secret the nature of what they had acquired, and where it was kept, was essential. It is important to remember that the military governments of the time armed themselves to such a degree that it was said they were about to go to war against Chile at any moment to recover lost territory. That morning, Santa María boarded a Sukhoi SU-22 loaded with 140 rounds to fire against the strange flying object. He pursued it and only fired 64 rounds, creating a huge wall of fire. He was startled to see that the object had not suffered any damage whatsoever. Oscar Santa María said that the effect produced by this weaponry was devastating, and there was no chance of the object emerging unscathed, but the situation was completely different. Not only he had not damaged the intruder, but the object appeared to have acquired an intelligence that allowed it to move freely and escape. At some point during the pursuit, which lasted around 25 minutes, he felt the UFO somehow "knew" the maneuvers the warplane would engage in. "It was an odd sensation. When I reached a certain altitude to get it in my sights and fire, the object disrupted the operation and settled at the same altitude and right beside my pane." Upon being asked why he had been chosen, he said "he was the best among the combat pilots" and his superior, of course, wanted the object blown out of the sky as soon as possible and efficiently. Oscar says came within 100 meters of the object. "I didn't notice that it was spinning. It didn't have windows or rivets, either. What startled me most is that it had no means of propulsion like any other aircraft." While this went on, Santa María says the military radar units could pick up his jet, but not the UFO. However, ground personnel could see it from the ground, looking like a large luminous object in the sky. Nearly 460 crewmen were ordered to their stations to repel the mysterious object. Nearly thirteen hundred people were on hand, all of them watching the maneuvers between the interceptor and the UFO. In other words, a total of 1800 people at the base witnessed the incident. At the end of the incident, and lacking fuel to continue pursuit, Oscar returned to base. To date, it is known that the department in charge of investigating the subject of UFOs in Peru, a division of the Aerospace Interest Office, classified it as case 0007 in its new stage of investigation.